It has been a roller coaster ride for Vikings fans upon the hiring of Head Coach Mike Zimmer in 2014. His first season saw the team sputter to a disappointing 7-9 record. The Vikings showed resurgence in 2015, improving to 11-5 and earning a date in the Wild Card round with the Seahawks, which they dropped by just one point. Once again, they were unable to get off the ground in 2016, finishing 8-8 in a season most experts believed could have been more successful than 2015. The Vikings then proved the experts wrong again in 2017, this time proving to be overachievers. After starting 2-2, the Vikings rattled off eight straight wins in route to a 13-3 season and a first-round bye. The roller coaster continued. With no time on the clock in the divisional round against New Orleans, Stefon Diggs made a play for the ages and brought the Vikings to within one victory of a home Super Bowl. Unfortunately, riding that high could not elevate the Vikings past the Eagles, and their magical run screeched to a halt. 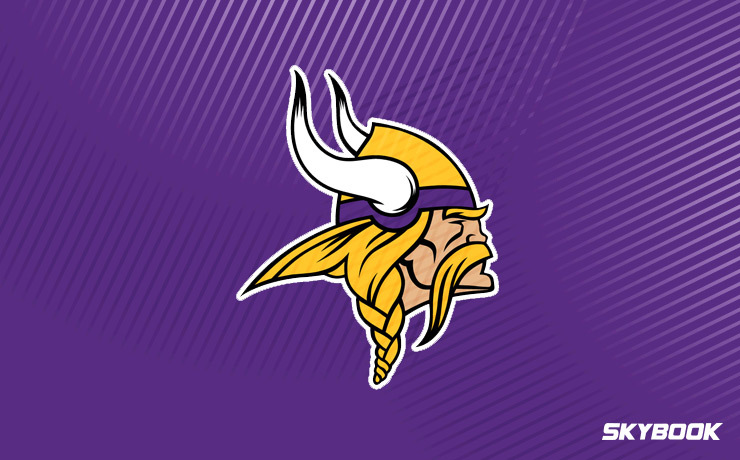 The Minnesota Vikings betting odds are very strong this season, indicating Vegas believes the best part of this roller coaster ride may be yet to come. After riding the arm of Case Keenum to the NFC Championship game, the Vikings have gone out and reeled in a bona fide star to run the offense. Kirk Cousins, throwing for 4,000 yards and 25 touchdowns in each of the previous three seasons, will provide elite-level leadership that the Vikings have not had for some time. Much of the team’s offensive success in 2017 can be attributed to the ball carrying skills of Latavius Murray and Jerick McKinnon who combined for over 1,400 rushing yards. Young back Dalvin Cook appeared to be the team’s best rusher early on until an ACL tear forced him to the sidelines. McKinnon has moved on to the 49’ers, but if the Vikings get Cook back and healthy, they could have a two-headed attack that would easily be the best in the league on paper. It is not hard to see why the Vikings won thirteen games last season. Complementing their talented offense was a defense ranking first the NFL in both yards and points allowed. With All-Pro locks Xavier Rhodes and Harrison Smith playing in the secondary over top Pro-Bowl pass rushers Everson Griffen and Linval Joseph, this Vikings defense had no weak links. Forget the hype about Kirk Cousins and the offense. If the Vikings are to contend for a Super Bowl in 2018, it will be this defense that carries them. At 10-1, the Minnesota Vikings betting odds to win Super Bowl 53 are evidence that Vegas is extremely high on this team. Here at SkyBook, we pride ourselves on being the best NFL sportsbook for all your football betting needs. We are delivering game analysis, matchups, and injury reports for the Vikings all season long. We are the best football betting environment with great bonuses that you will not find anywhere else.